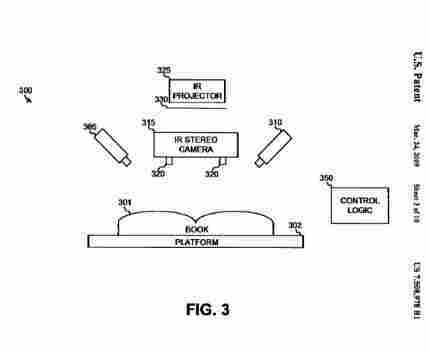 The Secret Of Google's Book Scanning Machine Revealed : As A Matter Of Fact The secret of Google's new book scanning technology revealed. The other day my colleague Kee Malesky turned me on to an incredibly interesting article from the New Scientist website about the granting of patent 7508978. What's so important about Patent 7508978 you ask? 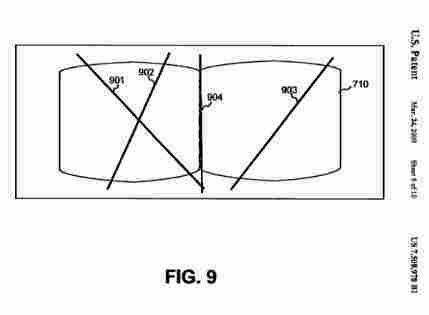 It's the patent that explains how Google's proprietary book scanning technology works. 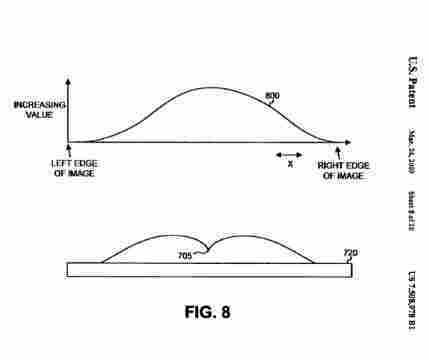 Turns out, Google created some seriously nifty infrared camera technology that detects the three-dimensional shape and angle of book pages when the book is placed in the scanner. This information is transmitted to the OCR software, which adjusts for the distortions and allows the OCR software to read text more accurately. No more broken bindings, no more inefficient glass plates. Google has finally figured out a way to digitize books en masse. For all those who've pondered "How'd They Do That?" you finally have an answer.